Roses are the flower of love. Many of us have fond memories of favorites in our mother’s garden or of a beautiful bouquet given or received on Valentine’s Day. It’s dormant season for roses which is good for both pruning and adding a few to the garden. As a designer I have clients who have inherited roses and want to keep them as a remembrance. Others want to create a cutting garden filled with roses and other perennials. Don’t feel guilty for growing those beauties in your own garden. They use less resources than you think and there are many ways to grow them sustainably. Roses, whether bush types, climber or ground cover carpet varieties, use a moderate amount of water in order to thrive according to the latest Water Use Classification of Landscape Species (WUCOLS) list. This amount of summer irrigation is the same as many of the plants on the list of Scotts Valley Water District’s 800 Approved Low Water-Use Plants for lawn replacement. Plants such as Emerald Carpet manzanita, Joyce Coulter ceanothus, Siskiyou Blue fescue grass, Pacific wax myrtle, butterfly bush, yarrow hybrids and Tapien verbena have similar water requirements. Since now is the time to prune your roses here are a few tips. Prune shrubs moderately to keep them compact. The goal is to keep the center of the plant open for good air circulation aiming for a vase-shaped bush with an open center. Cut out canes that cross, appear weak or are diseased, spindly or dead. Healthy canes appear green or reddish while old and dying canes are brown. Cut back the remaining stems by about one third. When pruning, cut canes at a 45-degree angle just above an outward facing leaf bud or a swelling on the cane. Clean pruners after every use to prevent the spread of disease and keep your pruners sharp. Prune heirlooms roses such as David Austin and other old antique garden roses less because their open look is part of their charm. Same goes for climbing roses. Cut out extra stems if there are too many and also cut back long established canes to about the place where they are slightly thicker than a pencil. Then cut each side stem down to several inches. This will make the cane flower along its complete length for a beautiful spring display. Pluck off and rake away any old leaves. They can spread fungal spores. Consider spraying dormant plants with a combination of organic horticultural oil and copper soap or lime-sulfur. If you usually only have problems with black spot you can use a mixture of 1 teaspoon baking soda with a few drops of light horticultural oil in 1 quart water and spray every 7 to 10 days during the spring. Prune your roses throughout the growing season, too. Deadheading, or cutting off spent flowers, encourages plants to re-bloom. Mulch around your roses to conserve water and encourage soil microorganisms. Don’t worry whether you’re pruning job is perfect. Roses are super forgiving and you can always trim them up again later. With summer winding down I’m looking at my garden and thinking about change. What can I do this fall so that next year I can save more water and make the garden more beautiful? With our shifting climate and availability of resources we learn new ways to keep our gardens thriving. Mulching is one way to do it. Cover all bare soil with mulch – mulch your garden, mulch your hillside, mulch your trees, mulch around your perennials and shrubs. A nice layer around plants conserves moisture, keeps roots cool and encourages microorganisms to flourish in the soil. An added benefit is that it prevents erosion which might be especially important this winter. Protect your soil from runoff with 3 inches or more of mulch. I had Davey Tree drop off a load of wood chips recently and the quality was excellent. The chips are small with a few green leaves and will look great as soon as they are spread. There are other sources of mulch and they’re all good. Replenishing mulch is an ongoing task – one that keeps on giving. While up in the Pacific Northwest recently I saw many of the same problems and effects of the drought that we are encountering. You can see see native trees suffering there as well as ornamental trees in residential landscapes. No one up there is used to watering a tree in the summer. The moral of the story: Don’t let this happen to your trees. Use a soaker hose, deep root irrigator or a hose turned on slowly to occasionally moisten the soil 18” deep under the drip line and a bit beyond. Even our native oaks can use a drink after 4 years of drought. Just be sure to keep the trunk area dry. The feeder roots are way out at the edge of the canopy. You might also be noticing deciduous trees already starting to show fall color. This is a survival mechanism. It’s to their benefit to drop foliage prematurely when moisture is scarce. From their point of view reproduction is over for the year and they can rest up and regroup for next year. Our native redwoods are showing signs of the drought also as the heat of summer takes its toll. You can see older, interior needles and small branches die off and start to drop This happens every year about this time but this year I’m seeing more brown branches than ever. The world’s tallest tree can live for 2200 years. The age of these trees at maturity is 400-500 years so most have survived other droughts as well. Coast redwoods prefer to have a full canopy right to the ground and its own, thick mulch layer surrounding the trunk. Redwoods on hot, south facing slopes seem to be suffering more than other redwoods this year. I’ve also seen small patches of redwood trees that appear to have totally died off. Redwoods are usually resistant to disease but drought stressed trees can suffer from several pathogens and fungal diseases are exacerbated by stress. Some pathogens have been particularly active in the last several drought years. It is not uncommon, however, to find in the same vicinity healthy trees that do not show any signs of disease. If you are looking for the perfect drought tolerant flower for your late summer garden you can see them blooming everywhere these days. I’m talking about those huge pink flowers on tall stems that emerge from the ground almost mysteriously at this time of year. Their bare 2-3 foot stalks rise from bare earth, each topped by a cluster of fragrant, trumpet-shaped rosy pink flowers. Amaryllis belladonna lend drama and color to the late season garden. Even their common name – Naked Lady – sounds exotic. They are so plentiful many people think they are native to the area. But being a long lived bulb it’s more likely they were brought here by early settlers. Native to South Africa amaryllis belladonna perform best is areas with warm dry summers like ours. Growing in most soils with reasonable drainage they get all the moisture they need from winter rains. Heat and dryness during late spring and summer are necessary for blooming. 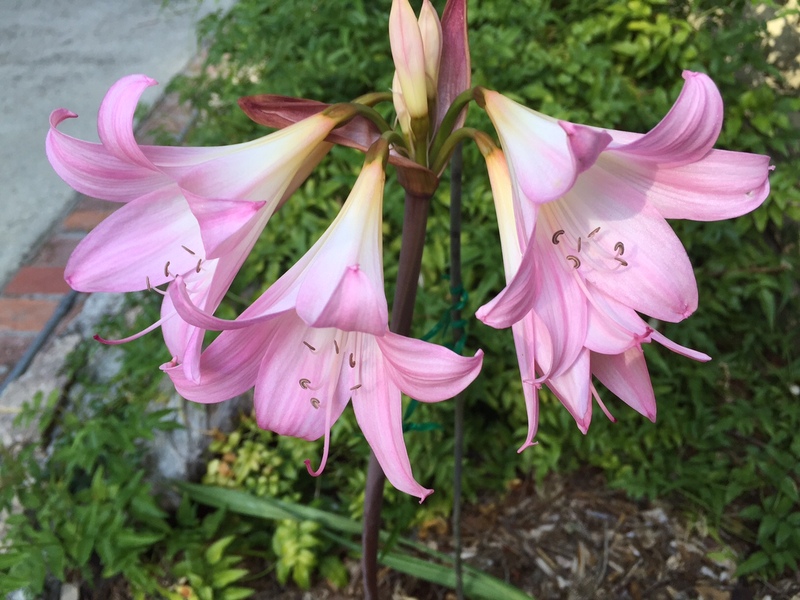 Because moving a belladonna lily can easily stop its blooming for several years, it is best to divide clumps only when necessary or to move them during or just after blooming, keeping as much soil intact around the bulb as possible. The strongly scented flower clusters make an excellent cut flower and last for about a week. A word of caution – the plants are poisonous if eaten. You can find the huge bulbs at local nurseries or ask a neighbor who wants to divide theirs for some. Seems like just about everything is in bloom. Sure there are many plants and trees who’s season is still a ways off but the flowers of early spring really get our attention. Longer days trigger both flora and fauna to reproduce. Being that it’s the beginning of April I thought I’d give you a heads up on what to do in the garden this month. That way you can budget your time and enjoy the beauty around you and still get your chores done. Earth Day is coming up on Saturday, April 18th and National Arbor day is April 24th. What better way to celebrate in your own backyard than to plan t a tree, shrub, flower or edible? 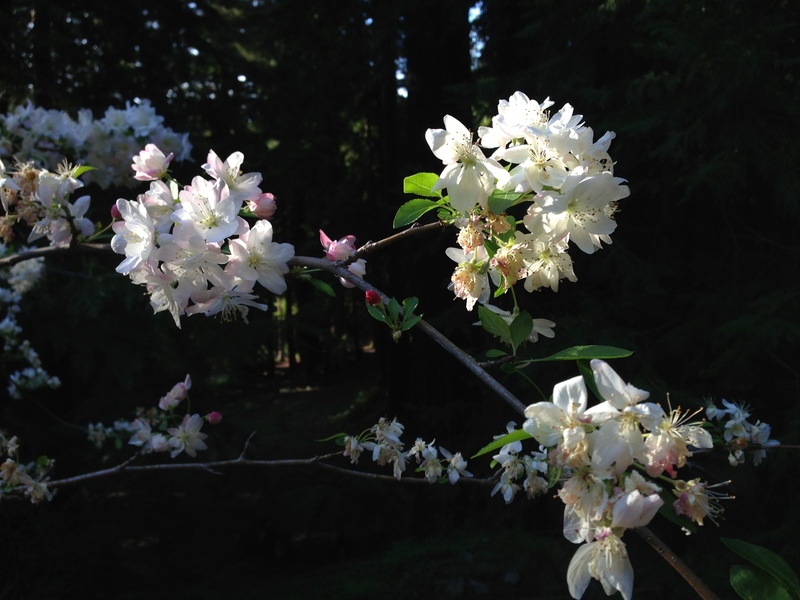 I’m enjoying the succession of flowering trees in my own yard. First came the plums, then the flowering crabapple and now the Forest Pansy Redbud. My crape myrtle will bloom by summer but I think I’ll plant another tree that will bloom in May to celebrate, maybe a late-blooming Kousa dogwood. Planting a tree is having confidence in the future. Like the saying goes, “The best time to plant a tree is twenty years ago. The second best time is now.” In case you were wondering, Arbor Week in California was celebrated mid-March. That’s because each state observes Arbor Day based on the best tree-planting time in their area. On the first Arbor Day, April 10,1872, an estimated one million trees were planted. Make yours the one million and one tree planted. Fertilize -Take advantage of the moist soil to fertilize your garden. Lawns and groundcovers are beginning their spring growth spurt and new leaves on trees, shrubs and perennials are starting to emerge. Your citrus may be looking yellow from lack of nitrogen which has leached out of the soil through the winter season and they may be lacking in iron. Feed them with organic citrus or fruit tree fertilizer. Perennials benefit from both a fresh layer of compost and a light application of balanced fertilizer. They respond to the phosphorus from bone meal especially in the spring for root growth, stem sturdiness and flower development. Make sure you keep fertilizer off the foliage and crown of the plants or wash it off with the hose. 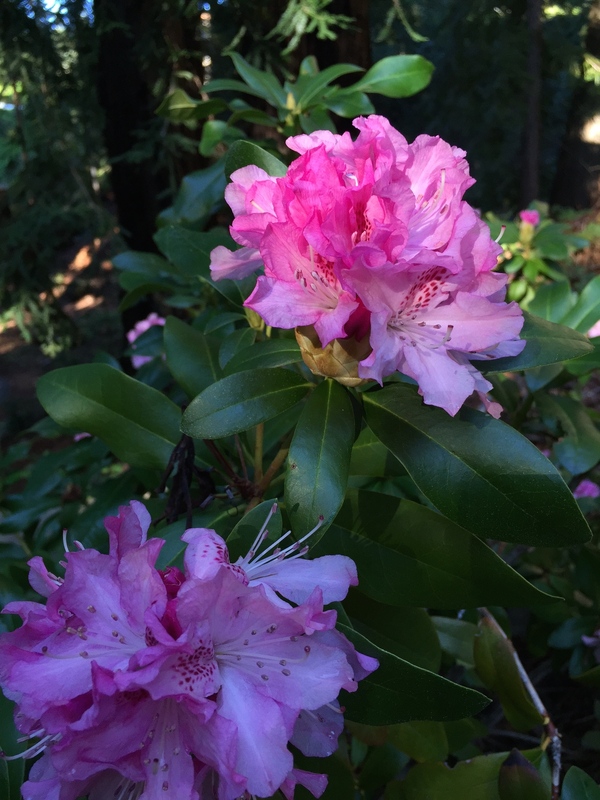 Wait to feed azaleas, camellias and rhododendrons until after they bloom and you see new leaves emerging. Transplant – If you need to move any plants in the garden that have outgrown their space or are not growing with other plants of the same water usage now is a good time. Plants are full of growth hormones and recover quickly from transplant shock. As you plant new additions to the garden add organic matter to the soil. If your garden’s soil is sandy, organic matter enriches it and allows it to hold water more efficiently. If your soil tends toward clay, organic matter will loosen it up and improve drainage. In well-amended soil, plants grow deep roots, are hardier for cold, more resistant to disease and more drought tolerant. Organic matter such as compost, planting mix and well-rotted manure boosts nutrition and improves soil structure. Spread fresh compost or bark mulch around all your plants to help plants get off to a strong start. Good soil is the secret to successful gardening. The first principle of organic gardening is to feed the soil and it will feed the plant. Remember that all gardening used to be organic. 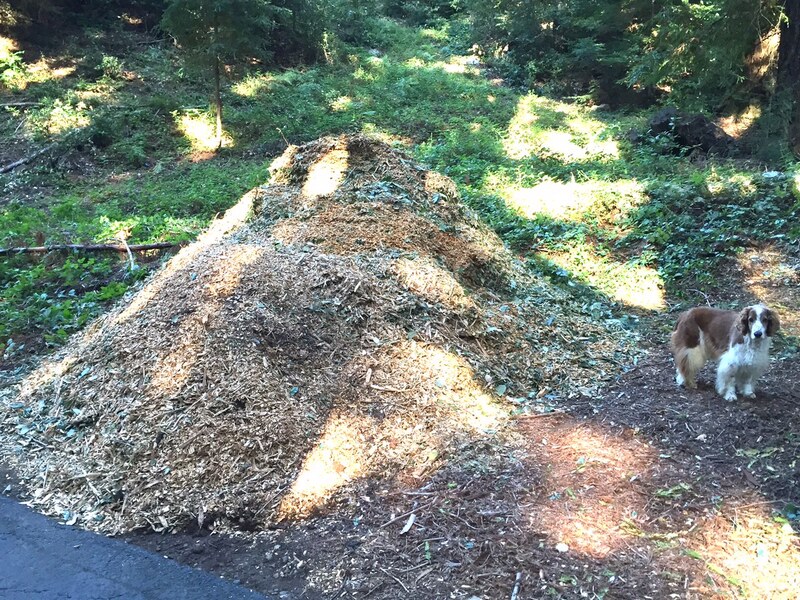 Layer 2-3″ of compost or bark chips on top of the soil and let it slowly decompose and filter down into the earth. Bark nuggets and shredded bark do not increase your soil’s fertility like compost or bark chips but they do conserve moisture and help keep weeds at bay. Check for aphids – They are out in full force sucking plant juices from the tender new leaves of everything from roses to hellebore to Japanese maples. A strong spray from the hose may be enough to dislodge them. If they still persist, you can spray organic insecticidal soap, neem oil or horticultural oil to kill them. As with all pesticide sprays, do this early in the morning or later when they are not in the sun. Be sure to test first to make sure the spray doesn’t burn the new growth and always mix according to the directions. Ants can also bring aphids up into trees and shrubs such as camellias, citrus and roses. Ants feed off honeydew secreted by aphids, scale and other plant-juice sucking insects. Ants also protect these pests from natural predators. To keep them off, wrap trunks with a 1-2″ wide strip of masking tape and coat with a sticky barrier like Tanglefoot. Keep the barriers free of dirt and check them periodically for breaks. Reapply when necessary.